The Neural Turing Machine will combine the best of number-crunching with the human-like adaptability of neural networks – so it can invent its own programs. Your smartphone is amazing, but ask it to do something it doesn't have an app for and it just sits there. Without programmers to write apps, computers are useless. That could soon change. 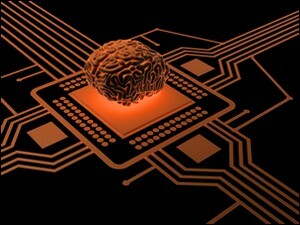 DeepMind Technologies, a London-based artificial-intelligence firm acquired by Google this year, has revealed that it is designing computers that combine the way ordinary computers work with the way the human brain works. They call this hybrid device a Neural Turing Machine. The hope is it won't need programmers, and will instead program itself.